This is a cute blouse that I knitted with pleasure for a project, being asked to knit something that is inspired by the romanian traditional costumes. 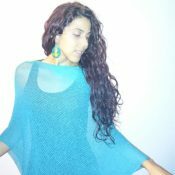 I knitted it in 5 strands of lace cotton yarn, in a very beautiful light and medium green colours, I love the colour combination. 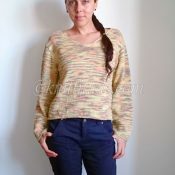 It’s very easy to match this blouse with jeans or other pants and skirts. 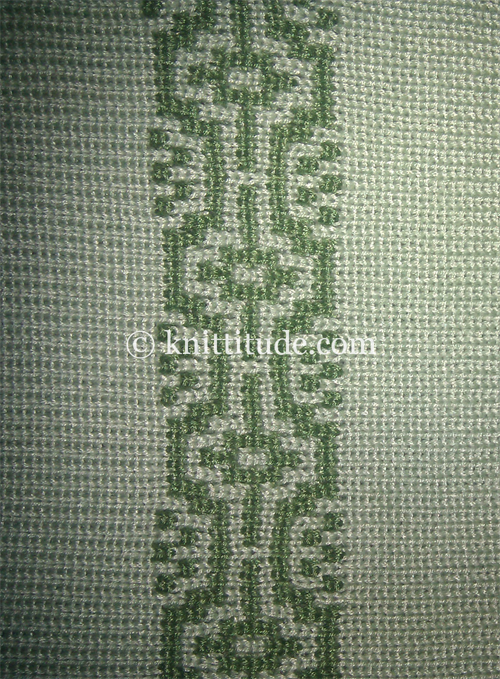 The motif stitch pattern is Tuck. 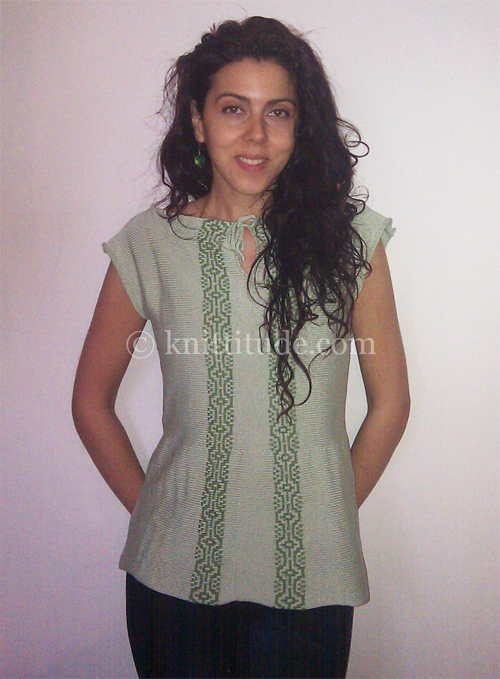 The blouse was knitted on a standard knitting machine (4.5mm). 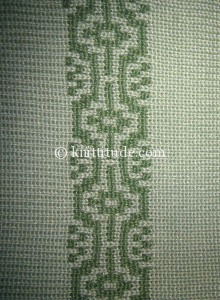 Being knitted sideway, there aren’t available instructions for larger sizes because they would require more than 200 needles, the maximum my standard knitting machine (and I bet yours too) has on the main bed. Therefore, the instructions are given only for S and M sizes as a pdf file which is ready to be downloaded right after the purchase. 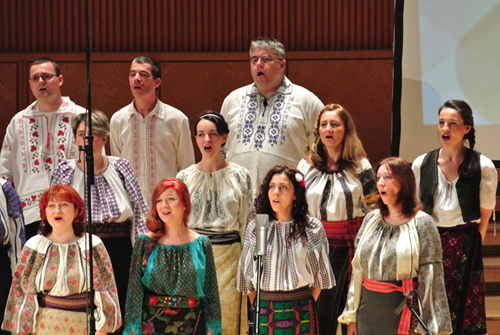 In the picture below you may see me and my Sound Choir colleagues dressed in romanian traditional costumes at a concert. This was the inspiration for this blouse and now that I discovered the taste of it, I will surely knit other garments inpired by these beautiful romanian costumes. Beautiful feminine shape and lovely traditional motif. Thank you for sharing.